Learn how to work with map tools in QGIS using Python from this section as part of this preview chapter, Creating Dynamic Maps from QGIS Python Programming CookBook. With 140 short, reusable recipes to automate geospatial processes in QGIS, the QGIS Python Programming CookBook teaches readers how to use Python and QGIS to create and transform data, produce appealing GIS visualizations, and build complex map layouts. 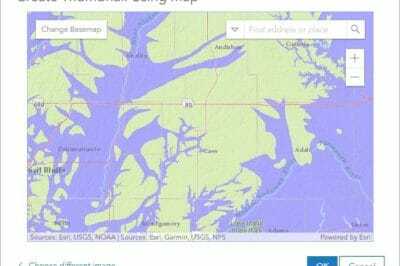 In this recipe we’ll learn how to add standard map navigation tools to a standalone map canvas. Creating the simplest possible interactive application provides a framework to begin building specialized geospatial applications using QGIS as a library. We will step through creating a map canvas, add a layer to it, and then add some tools to zoom and pan the map. An application is a continuously running program loop that ends only when we quit the application. QGIS is based on the Qt windowing library so our application class inherits from the main window class which provides the canvas and the ability to create toolbars and dialogs.There is a lot of set up, even for an extremely simple application, but once the framework for an application is complete, it becomes much easier to extend. QGIS contains built in functionality to zoom and pan the map in custom applications. It also contains the basic hooks to build your own interactive tools. In this recipe, we’ll create an interactive point tool that let’s you mark locations on the map by clicking a point. We will use the application framework from the previous recipe, Adding Standard Map Tools to the Canvas, so complete that recipe. 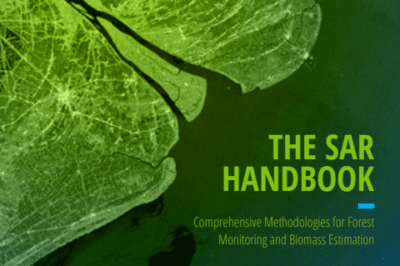 We will extend that application with a new tool.A complete version of this application is available in the code samples provided with this book. We will set up the button, signal trigger, and actions as we do with all map tools. But because we are building a new tool, we must also define a class to define exactly what the tool does. For custom tools, PyQGIS provides a set of generic tools for common functions that you can extend and piece together.In this case the EmitPoint tool handles the details of events and map functionality when you click at a location on the map. In this recipe we’ll create a tool to draw polygons on the canvas. This tool is an important tool because it opens the door to even more advanced tools. Once you have a polygon on the canvas you can do all sorts of operations involving querying and geometry. We will use the application framework from the recipe in this chapter titled Adding Standard Map Tools to the Canvas, so complete that recipe. We will extend that application with a new tool. A complete version of this application is available in the code samples provided with this book. We will add a new tool to the toolbar and also create a class describing our polygon tool. All of the settings for the polygon are contained in the custom class. There is a key property called is EmittingPoint which we use to detect if we are still adding points to the polygon. That value starts out as false. If that is the case we reset our polygon object and begin drawing a new one. 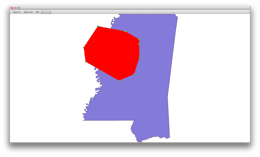 The following screenshot shows a polygon drawn with this tool on a map. We will build a custom tool in this recipe that both draws a shape on the map but also interacts with other features on the map. These two basic functions are the basis for almost any map tool you would want to build in a standalone QGIS application like this one, or by extending the QGIS Desktop Application with a plugin. We will use the application framework from the recipe in this chapter titled Adding Standard Map Tools to the Canvas, so complete that recipe. We will extend that application with a new tool. A complete version of this application is available in the code samples provided with this book. It will also be beneficial to study the other two tool-related recipes in this chapter named A Map Tool to Draw Polygons or Lines on the Canvas and A Map Tool to Draw Points on the Canvas as this recipe builds on them as well. Download and extract it to your qgis_data directory. 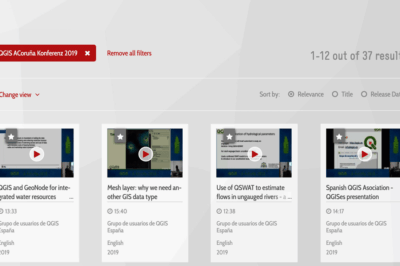 We will add a new tool to the toolbar and also create a class describing our selection tool including how to draw the selection polygon, and how to select the features. QGIS has a generic tool for highlighting features, but in this case we can use the standard selection functionality, which simplifies our code. With the exception of a dialog to load new layers and the ability to show attributes, we have a very basic but nearly complete standalone GIS application.The following screenshot shows the selection tool in action. In this recipe, we’ll build a tool that tracks and displays the mouse coordinates in real time. This tool will also demonstrate how to interact with the status bar of a QGIS application. We will use the application framework from the recipe in this chapter titled Adding Standard Map Tools to the Canvas, so complete that recipe. We will extend that application with the coordinate tracking tool. A complete version of this application is available in the code samples provided with this book. It will also be beneficial to study the other two tool-related recipes in this chapter named A Map Tool to Draw Polygonsor Lines on the Canvas and A Map Tool to Draw Points on the Canvas as this recipe builds on them as well. We will add an event filter to the basic standalone QGIS application and use it to grab the current mouse coordinates and update the status bar. In the Qt framework, in order to watch for mouse events, we must insert an event filter that allows us to monitor all events in the application. Within the default event filter method we can then process any event we want. In this case we watch for any movement of the mouse.